In October 2012, Superstorm Sandy wreaked havoc on the northeastern United States. Today, more than five years later, we are only just beginning to see the benefits of long-term recovery efforts coming to fruition, as states and utilities invest in smarter, more resilient grid technologies. It has taken time but a number of states, including my home state of New York, are deploying microgrids and storage resources, and valuing localized generation appropriately while also hardening traditional transmission and distribution infrastructure. These investments will help the grid withstand and recover from future catastrophe, whether a natural disaster, cyber attack, or act of terrorism. 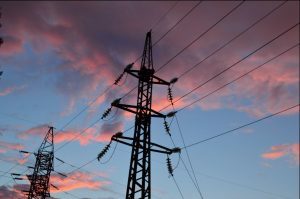 Many such events are inevitable, but smart improvements now can ensure critical infrastructure is protected and full power restoration can occur quickly when the next disaster hits. The recovery from Sandy has been a long, difficult road, but it has taught us many lessons on how to design, construct, and operate a more resilient grid. Many of those lessons must now be passed on to Puerto Rico. To mitigate risk from future storms, and protect taxpayers’ investments in rebuilding the system, Puerto Rico’s grid must be rebuilt to be more resilient, advanced, and less dependent on fossil fuel imports. We have already seen efforts to incorporate new distributed energy resources, which can complement relocating and elevating substations, installing flood walls, and other infrastructure hardening investments. While work is being done by New York and Puerto Rico’s governments, the Federal government is missing an opportunity to promote grid resilience. Instead, the Grid Resiliency Pricing Rule, proposed by Energy Secretary Rick Perry and recently rejected by the Federal Energy Regulatory Commission, would have required subsidizing power generators for having 90 days of fuel on-site, which would add little, if any, resiliency to our system. This proposal missed the mark for several reasons. No evidence points to fuel assurance being the most significant factor in promoting resiliency. According to the Department of Energy’s second Quadrennial Energy Review, distribution systems are responsible for over 90 percent of total electric power interruptions. Similarly, analysis by the Rhodium Group found fuel emergencies or deficiencies at power plants resulted in 0.00007% of total customer hours of lost service. The proposed resiliency benefit is clearly not worth the significant estimated costs to ratepayers. That money would be better spent hardening infrastructure and making other modernization investments. If Superstorm Sandy and Hurricane Maria have taught us anything about our electricity system, it is that a flexible grid, supported by distributed resources and other advanced technologies, is critical to improving resiliency. While I believe Secretary Perry’s proposal was the wrong approach, policymakers should consider how to enhance our grid’s resiliency. The Federal government should learn from the experiences of Superstorm Sandy and promote greater resiliency in the Puerto Rican recovery efforts, as well as throughout the country. With the right vision and leadership, we can invest in a smarter, flexible grid that moves us towards a more resilient system. 1)	What steps should the federal government take to support rebuilding the grid in Puerto Rico? 2)	What aspects of “resilience” should FERC and Regional Transmission Organizations consider moving forward? 3)	How might the federal government support efforts to improve grid resilience across the country? Let’s take this opportunity to demonstrate an Island system based on renewable energy and resiliency. Making Puerto Rico a center for the development of fossil-free resilient energy for the US would bring needed dollars to the island and fit growing needs for both reducing carbon emissions and increasing resilience against an increasingly difficult environment. Turn the calamity into opportunity! Fossil fuel-based power generation creates the conditions (extreme weather, wildfires, floods, droughts) that destabilizes the grid, so it is an inherently unreliable and non-resilient form of energy. Of course, fossil fuel-based energy also hurts the economy and the nation’s health (it has been estimated that in coal states the health costs of coal burning exceeds the value of the electricity produced). So the solution for a more reliable and resilient grid as well as a more robust economy and healthier public is to put a price on carbon. The best way to do that is the “Fee and Dividend” aka “Carbon Dividends Plan” policy where a rising fee is place on the carbon content of fossil fuels and all the money collected is returned to every legal resident. A REMI study shows this will create 2.8 million jobs, grow GDP by $1.4 trillion, and cut emissions by more than half. Representative Tonko is right-on-the-mark. The PR/NY plan assumes you can move fuels onto the island and throughout the islands during megastorms. That approach failed in Hurricane Katrina, Typhoon Haiyan, Hurricane Sandy, Hurricane Harvey, and Hurricane Maria. Puerto Rico has 18.17 to 19.93 cents per kWh electricity coming from a a 4.84 MW grid with electricity generated from oil (45%), natural gas (34%), coal (17%), hydropower (1%), and renewables (3%). According to a National Renewable Energy Laboratory Study (NREL), available renewable resources on Puerto Rico is: biomass 3,400 MW (mid-range), marine energy (tidal/wave) 4,800 MW, solar 1,100 MW (22.1 MW installed now), 840 MW (of which 120 MW is installed). And there are no professional geothermal energy resource assessments as of yet (or to anyone’s knowledge). Biomass, solar and wind are economic and are being deployed in GW’s globally, and there is no reason not to do so in Puerto Rico. Marine energy, which includes tidal, wave, ocean currents and thermal, is also being deployed the world over — the newest in the renewable energy portfolio but no reason not to begin. So there is ample on-island energy resources for a modern, reliable, and economic grid, But it also requires a new technological format. The Island’s grids needs sectionalizers and reclosers so parts of the grid can separate itself from non-functioning parts quickly & safely. And then within each section, there needs to be microgrids and community renewable energy which can island apart to be singularly operational .. to power communities and critical infrastructure .. pipelines (water, sewage, fuels), cellular towers, large intersection signal lights, hospitals/nursing homes/clinics, first responders (police, fire, ambulence) and even gas sation island pumps and ATM machines, medical and food refrigeration – the shared assets that an industrial society needs operating “all the time”. The technology is commercial and exists, the financing tools are commonly available now — but the vision is lacking, and the regulatory regime is trying to catch up (the recent utility commission request and pronouncement on microgrids is encouraging). Similar regulatory approaches on integrating energy storage (pumped hydropower, battery banks, flywheels, compressed air and liquids, and hydrogen) is also essential. The electric grid need to mimic the same qualities of how we evolved telecommunications (cellular) and the internet (datacenters) into distributed self-healing networks. This Wednesday, January 24th at the National Science & Education Conference at the Airport Hyatt, we will be dialoguing with educators and Puerto Rico practitioners, on what the talent pool needs are to make this transition. And I share the Congressman’s disappointment on marginally improving the grid in Puerto Rico rather than optimizing a grid worthy of the modern 21st century. Clearly a hurricane pathway like Puerto Rico with no access to local fossil fuels and no pipeline access to natural gas ought to be moving off of conventional, fossil-fired wire-and-pole electricity as fast as possible, hardening its key infrastructure nodes and taking advantage of local renewable resources. This pathway is cheaper, more secure, cleaner and keeps vital economic assets flowing within the Puerto Rican economy. It’s not likely to happen unless we recognize the major barrier; the business model and economic structure of the existing utility means that there is no obvious incentive for it to write off centralized, fossil-fired and hurricane vulnerable generation assets. Indeed, it will fight as hard as it can to avoid writing off these assets — and it will use, and is using, the regulatory power of the Puerto Rican government and the financial insecurity of most Puerto Rican electricity consumers to lock in another decade of its outdated, exorbitantly expensive and categorically insecure model. Two things need to happen. Congress needs to give Puerto Rico a major financial incentive to write off these outdated assets, and in exchange Puerto Rico electricity customers going renewable and hardened should receive the same kind of social credit that the Roosevelt Administration gave to US farmers in the 1930’s, leading to one of the great electrification successes in history. In fact, it might be a good idea to repurpose the Department of Agriculture, which already has a small rural coop presence in PR, as the agency that will lead federal financial support and loan guarantees for a new generation Puerto Rico grid. It makes no sense for us to financially support the rebuilding of the outdated PR electricity grid, a grid structure unsuited to the environment of PR. That choice to toss any real vision away can only be a rotten political decision. Is there any way to turn that old ship around? Instead of starting with a solution that would make PR a laboratory for wind and solar, the island’s long term interests would be better served by two initial steps. First, a detailed, objective analysis of what a resilient and affordable energy system would look like and second, privatizing the existing utility by selling it to either private investors or a major utility that would commit to implementing the plan that flows from the analysis. While solar and wind may be part of the solution, it needs to be remembered that those installations probably couldn’t withstand another hurricane Maria and hardening them enough so they could might be cost prohibitive. Partitioning the island as Scott Sklar suggests will be essential to any solution but that solution also must be economically practical. Right now the most immediate need is to get electricity fully restored. It is shameful that is not getting the attention it deserves from the media or Congress. Why isn’t Congress taking FEMA to task? A most important statement in Congressman Tonko’s presentation was the observation that over 90% of the grid disruptions are due to the distribution systems. Long term electricity sources, if proven to be practical, like marine energy…tidal, wave, ocean currents, and thermal do not solve the distribution vulnerability issue. What seems to be missing is what might be done to reduce the distribution vulnerability issue, which is likely to be more pronounced in the rural areas than in the cities. One possibility is to essentially have people in the rural areas become more self sufficient, such as through greater use of solar energy. However, to meet all the requirements of a modern society, as Scott Sklar points out, requires energy for water, sewage, police, hospitals, etc. and providing these functions through solar energy alone is very expensive, especially if one also needs batteries to provide a continuous supply of electricity. A more practical approach might be to have a mix of present centralized electricity sources and decentralized sources in rural areas. The primary purpose of the decentralized sources in rural areas would be to provide essential electricity until the distribution system was up and running. A secondary purpose of the distributed sources would be to offer diversity of supply and to minimize the number of new power plants that need be built, if that is the least cost approach. In order to achieve a good mix of centralized and decentralized sources there must be practical energy storage systems. There may be a role for biomass here if it can be distributed in rural areas and stored in a form that can be used to generate heat/electricity. Biogas generators come to mind. In parallel, the centralized utilities should stockpile poles, wires, ladders, etc. in rural areas so that the repair of downed power lines could proceed more quickly. Road improvements in rural areas may also be critical so that repair crews and others can get to where they need to go. Changes toward more robust, renewable, and efficient processes of connecting end-users with energy services through efforts at having a smart grid is making the inadequacy of the traditional energy grid increasingly apparent. Electrical energy storage (EES) (as against stockpiled fuel storage of coal, natural gas, oil, and nuclear) is a key technological component that can transform the current structure and operation of the power grid. Benefits such as improved reliability with less costly interruptions, deferred capital spending on costly transmission and generation assets, and increased efficiency of power delivery due to lower distribution losses of smart grids to utility companies and the electricity system are enhanced via electrical energy storage. This is because electrical energy storage negates the need for extra peaking generation through load leveling, defers transmission and distribution upgrades needed to meet load growth with a smaller (sized energy storage) investment. By adding electrical energy storage to distribution substations, transmission congestion fees can be reduced (in deregulated markets). Electrical energy storage also provides load following capabilities needed to improve the intermittency of increasing renewable energy sources such as solar and wind being added to the grid thereby enhancing the dispatchability of these renewables on the gird. This provides options to offset the mismatch between demand and supply and to operate the distribution system in a more efficient, economic, and environmentally benign manner. As electrical energy storage technologies provide significant opportunities to further enhance the efficiency and operation of the grid by providing application-specific energy services across different components of the grid thereby making it uniquely suited to respond quickly and effectively to signals throughout the smart grid; it is important that FREC continues to support grid EES. The Federal Regulatory Commission (FERC) needs to continue to work towards developing and supporting new and existing markets that promote electrical energy storage; this will increase the value of electrical energy storage investments while enhancing the operation of the grid. By Dr. Andrew C. Kadak President, Kadak Associates, Inc.
Having just returned from Puerto Rico, I would like to contribute to this discussion. What is missing is the appreciation and understanding that the entire grid was destroyed by the hurricanes. Fuel storage was not the problem. The problem was getting the electricity to the people. The Puerto Rican utility was bankrupt and reportedly corrupt. They did not maintain their grid which was itself archaic. While traveling around the island, high voltage transmission lines, local distribution lines, poles of various types were down and broken. The good news is that with the help of US mainland utilities and firms, these are being replaced with sturdy poles and towers. Rebuilding a grid will take time and not within the capability of the local small utility. They are essentially starting over. I saw utility bucket trucks from many states working tirelessly to restore power. Up to 60% of customers have had their power restored. The major focus is on high population areas, schools and hospitals appropriately. Rural and mountainous regions are still relying on generators if they have power. The discussion should not be about micro or macro grids but how build a stronger grid that can withstand such a tremendous force. My observation is that the new poles and towers are more robust. It is not clear that one can prevent such damage without burying all lines. This would be prohibitively expensive and very time consuming. Clearly the task is daunting made even more so since Puerto Rico is an island and everything must come by ship or plane. As to generating sources, I agree with those who think that a solar farm or local solar collectors or wind turbines are not the magic bullets here since they are likely not to be able to withstand 180 mph winds. Seeing roofs blown off houses was not reassuring for this solution. It would be great to have fuel independent generators and nuclear energy plants should be considered. A hard independent, non-political, technical assessment is needed for robust grid and generation design appropriate for Puerto Rico. The goal now is short term – restore power to all the people with a more robust distribution system. I will send my summary of the week on the island to OEP for posting for those interested with some suggestions for investigation. Dr. Kadak’s summary from his trip to Puerto Rico has been added to the OEP Resource Library and may be found here. When viewed apart from climate change, replacing a ravaged fossil fuel-powered grid with a stronger fossil fuel-powered grid might make sense. But considering that we need to bring greenhouse gas emissions down to zero around mid-century (about 30 years from now, shorter than the lifetime of a power plant), investing in what will become a stranded asset is short-sighted.